Guess What We Learned About Your Passenger Rights? We learned that a lot of travelers do not know that they have rights. Just last month, AirHelp conducted a survey involving 7,000 people across the EU and 2,000 people across the US. Our surveys uncovered some jaw-dropping data. Shockingly, the results indicate that on average, 85% of EU air passengers do not know their rights and 92% of US air passengers do not know their rights. The survey revealed that over 6 billion dollars in compensation are left unclaimed every year. We almost fell out of our chairs too! Travelers are effectively leaving money hanging out in thin air because they aren’t filing claims or following up on eligible compensation. Are you serious? Actually, we are. In fact, we’re quite serious about this. We’re also excited because the survey results highlight the need to increase awareness and understanding of air passenger rights. More specifically, it’s imperative to equip people with the proper tools so they can combat this recurring problem. People simply do not realize that in many instances, there’s a lot of fine print that gets overlooked, as also noted by Forbes. In actuality, travelers are protected by particular laws when flights are disrupted. What’s more, travelers may be eligible to receive compensation. Did You Know That You Have Rights When You Travel? You do, and we’re here to help you know what’s going on regarding passenger rights. We pick apart the information, unpack the legal jargon, and help you understand your rights when it comes to flight delays, cancellations, denied boarding, and baggage problems. We don’t want you to feel defenseless when travel plans go awry because we know that things can sometimes take an unexpected turn. Your passenger rights are important and crucial to more seamless travel. What Kind of Rights Are We Talking About? In short, laws that protect you and advocate for compensation in the face of flight disruptions. Air passenger rights in the United States and Europe differ, but there are rights for both covered under different laws. Yet, where your flight departs from and where your flight will land also matter in determining which law has your back. Travelers on US flights have fewer legal safeguards than European flights, but US regulations frequently favor passengers when it concerns denied boarding or lost luggage. We have already filtered through a wealth of legal language and detailed US passenger rights to give you a more precise breakdown. In Europe, Regulation (EC) No. 261/2004 of the European Parliament, otherwise known as EC 261, is the crème de la crème. It is the most comprehensive and protective legal measure enacted for passenger rights across Europe. In fact, for flights delayed more than 3 hours, passengers may qualify for up to 600 euros in compensation. If you’re flying internationally and you feel like you may be somewhere in between a variety of legal statutes, know that the Montreal Convention from 2003 will come to your aid. In fact, 120 nations honor the regulation, including the US and the EU. So, now what? Our simple answer—take action! We concentrate on finding eligible flights, and with your permission, we can check up to 3 years prior and make sure your claim is filed. Yes, it’s exactly what you’re thinking: compensation can be claimed within 3 years of the disrupted flight. That means you can go back in time, and that wrong experience has a good chance of being made right again. We’ve analyzed a lot of data and have come up with a helpful ranking system, AirHelp Score, so you can optimize your travel experience and base your choices on the most reliable airlines and airports. The statistics consider the quality of amenities, on-time arrivals, and commitment to resolving flight compensation claims. Tell a friend or fellow traveler about passenger rights because travelers deserve resources. They need to know their allies when travel plans take a different course and feel like emotional baggage. Spread the word. Let AirHelp go to work for you and them. Whether you’re traveling through the US, Europe, or somewhere in between home and Timbuktu, it’s worth it to know your rights and then exercise them by claiming compensation. 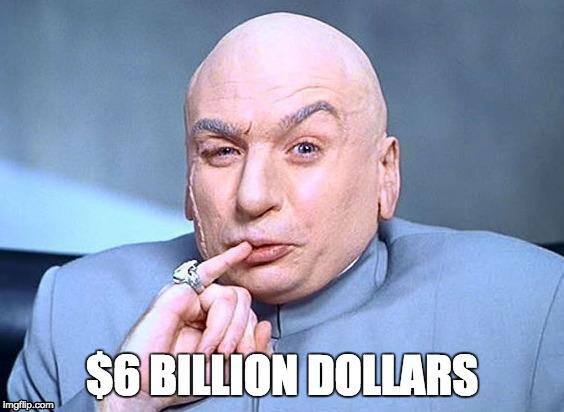 Let’s not leave 6 billion dollars on the table. Connect with AirHelp and check your eligibility. It’s free and it’s fast. Flight delays happen, but that doesn’t mean you have to accept them. You may be entitled to as much as $700 in compensation if you experienced a delayed, canceled, or overbooked flight within the last three years. Choosing a Phone for International Travel? Comment Rules: We’re here to help air passengers, but we can’t answer questions about specific compensation claims here in the comments section. We’re open to criticism, but if you’re rude, we’ll have to delete your comment. And to avoid giving the wrong impression, please don’t post URLs in the comment text and use a personal name rather than that of your business. Otherwise, thanks for posting and welcome to the AirHelp community!